Jamel earned her Bachelors of Arts in English from Fayetteville State University in 1998 after graduating from The North Carolina School of Science and Mathematics in 1994. Her Master’s Degree in Curriculum and Instruction was conferred in 2007 from University of Phoenix. While her career in education is in its 17th year, her experiences have taken her to multiple levels and sectors of education, including elementary, middle, and the collegiate level as well as the public and private sectors. Jamel’s love of learning is only surpassed by her love of the integration of play, technology, and the arts to engage learners. She has served her school community as Literacy Committee Chairperson, School Improvement Team Chairperson, and was 8th grade level chairperson and grade level lead support for English Language arts teachers throughout the Durham Public Schools district. During her residency year, she was at Burton Elementary School. Jamel is currently serving as Assistant Principal at Jordan High School. 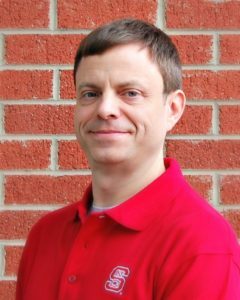 Michael earned his undergraduate degree in history, with a minor in social sciences, and a Master’s of Education from D’Youville College in Buffalo, New York. 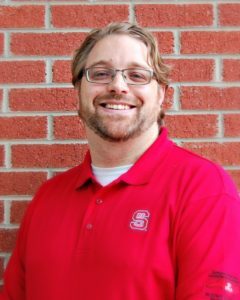 As of 2017, Mike will have spent a decade teaching 8th grade social studies at Rogers-Herr Middle School in Durham, N.C. Additionally, he served as the Social Studies co-department chair, the 8th grade team leader, and the Explorers team leader. Mike was also a part of the Media and Technology Committee and the Continuous Improvement Team. Outside of school, Mike worked at the Emily K Center where he was a counselor to four students in the Scholars to College program. 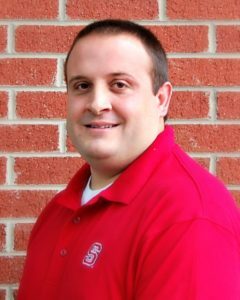 Lastly, Michael worked for the Technical Outreach for Public Schools Program through NCDPI, and for North Carolina State University creating questions for the N.C. Social Studies Final Exams. During his residency year, he was at Southwest Elementary School. Michael is now serving as Assistant Principal at Hillandale Elementary School. Tiffany earned an undergraduate degree in Family and Consumer Sciences with a concentration in Child Development and Family Relations from North Carolina Central University. 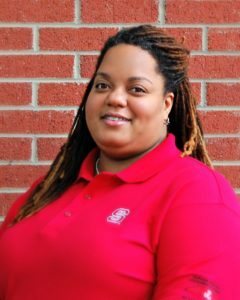 She began her teaching career as a lateral entry teacher, and later completed her K-6 Elementary Education licensure at North Carolina Central University. She earned a Master of Education degree in K-12 Literacy from The University of North Carolina at Chapel Hill. She was a Multi-Tiered System of Support (MTSS) Facilitator and State and Local Testing Coordinator at Pearsontown Year-Round Elementary School. She was a Principal Resident at Lucas Middle School during the Fall 2017 semester. Tiffany has been serving as Assistant Principal at Y.E. Smith Elementary Museum School since January 2018. 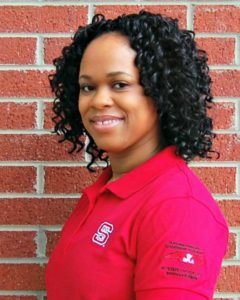 Pachette earned an undergraduate degree in Elementary Education from NC State University. She was selected as Teacher of the Year in 2016. 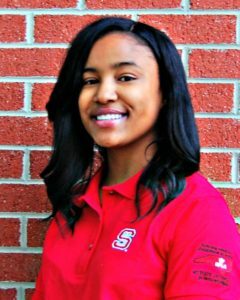 She was also one of the six finalists for Teacher of the District for Durham Public Schools. Pachette was a member of the Superintendents Teacher Advisory Council for Durham Public Schools. She was grade level chair for three years, a mentor teacher and cooperating teacher. Pachette taught third grade at Eastway Elementary where she also served as the Beginning Teacher Coordinator. She was a Principal Resident at Lakewood Montessori Middle School during the Fall 2017 semester. Pachette was an Assistant Principal at CC Spaulding Elementary School during Spring 2018. She is now serving as Assistant Principal at Lakewood Montessori Middle School. Josh earned an undergraduate degree in Secondary Education in History and a Master of Science degree in K-6 Literacy Education from Alfred University. After completing his degrees he attended Le Moyne College and received a third certification in Special Education for grades 7-12. Joshua taught seventh grade social studies at Neal Middle School. He served as the department chair and held several other leadership roles such as Capturing Kids Hearts Process Champion team, teacher mentor, seventh grade PLC lead and team leader. He was a Principal Resident Parkwood Elementary School during the Fall 2017 semester. 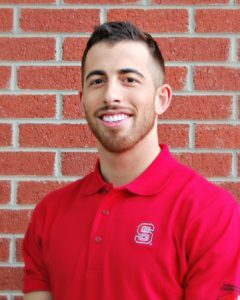 Josh has been serving as Assistant Principal at Holton Durham Performance Learning Center since January 2018. Matt Hickson earned a BS in Business Administration from the Kenan Flagler School of Business at UNC Chapel Hill. He was the Durham Public Schools Beginning Teacher of the Year and is the founder and director of Bull City Schools United. He started his path to working toward education equity as a teenager volunteering to register voters on the west side of Charlotte, North Carolina. 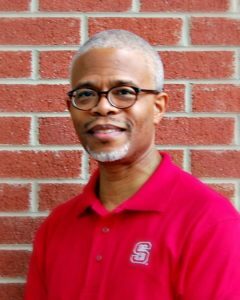 After years of witnessing the deep social and economic inequities of our state and nation as an activist, he went to work as a teacher and advocate with Student U Durham before becoming an 8th grade science teacher at Neal Middle School in East Durham. He completed the DPLA Principal Residency at Hillside High School. During the 2018 to 2019 school year, Matt is serving as Assistant Principal at Neal Middle School. Annette earned an undergraduate degree in Early Childhood Education and Pre-Law from Clarion University of Pennsylvania. 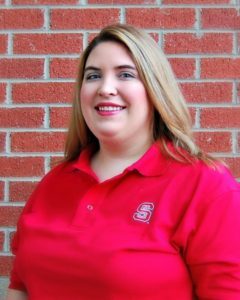 In North Carolina, she is certified to teach Elementary Education K-6, Middle School Mathematics 6-8, and Middle School English Language Arts 6-8. She has taught various grade levels since her 2011 graduation. She also served in various school leadership positions including MTSS Facilitator, Academic Coach, Mentor, Instructional Leadership Team Member, Testing Coordinator, Read to Achieve Facilitator, CERT Team, SIT Representative, AdvancED Accreditation Representative, and Kangaroo Math Center Manager. Annette served as a School Improvement Specialist at Bethesda Elementary School. She was a Principal Resident at Neal Middle School during the fall 2017 semester. Annette has been serving as Assistant Principal at Bethesda Elementary School since January 2018. Don earned a Bachelor of Arts degree in History from Penn State University and a Master of Arts in Teaching from Duke University. 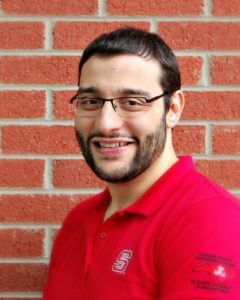 He is a National Board Certified Teacher, has coached men’s and women’s varsity soccer, and is a Duke Master of Arts in Teaching (MAT) mentor teacher. He has been recognized as Teacher of the Year and has been a recipient of both Gilder-Lehrman and NEH grants. Don was the Social Studies department chair at Jordan High School. He was a Principal Resident at Durham School of the Arts. Don is remaining at Durham School of the Arts during the 2018 to 2019 school year, where he is now serving as Assistant Principal. Rhonda Faircloth, a North Carolina Teaching Fellow, graduated from UNC-Asheville with a Bachelor of Arts degree in Language and Literature and Education (1997). She went on to become a Master Teacher Fellow at Wake Forest University, earning a Masters of Arts in English Education (1999). She is a National Board Certified Teacher and earned her AIG certification from Duke University. Rhonda served as a middle school English Language Arts teacher and Technology Specialist in Chapel Hill-Carrboro City Schools and Durham Public Schools (DPS) for 13 years. During that time, she was awarded Teacher of the Year at Lowe’s Grove Middle School (2005) and served in a variety of leadership roles, including ELA Department Chair (2007-2012), DPS district curriculum writer (2009-2012), and School Improvement Team member (2010). In 2012, she moved into a district leadership role as an English Language Arts Curriculum Specialist where she authored and led the implementation of the DPS middle school ELA curriculum for the newly adopted Common Core State Standards. Rhonda served as a Professional Development Specialist in the DPS Department of Leadership and Professional Development. She is the mother of a ninth grader and a fifth grader. During her residency year, she was at Forest View Elementary School. Rhonda is now serving as Assistant Principal at Githens Middle School. Eric earned a Bachelor of Science degree in Biology from the Virginia Military Institute. He began his teaching career as a Fellow of the lateral entry program NC INSPIRE. He taught 7th Grade Science at Neal Middle School in Durham. Additionally he served as Department Chair, SIT team member, and coach of the Science Olympiad and Lacrosse teams. He was a principal resident at Bethesda Elementary School during the fall 2017 semester. Eric has been serving as Assistant Principal at W.G. Pearson STEAM Elementary School since January 2018. Otis earned a bachelor degree in Elementary Education from North Carolina Central University. He also earned a Master’s Degree in Education from Liberty University Lynchburg, Virginia. His teaching experience includes a year in 5th grade and five years in 3rd grade. He began his career at Pearsontown Elementary School in Durham teaching 5th grade. He later transitioned to Wake County and taught 3rd grade at Walnut Creek Elementary School and Wilburn Elementary School in Raleigh, NC where he also served as grade level chair. He served as Principal Resident at Southern High School during the fall 2017 semester. Otis has been serving as Assistant Principal at Fayetteville Street Elementary School since January 2018. 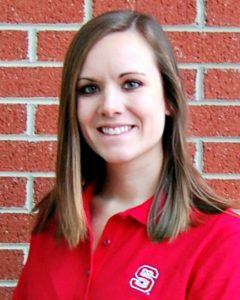 Kristin earned an undergraduate degree with honors in elementary education as well as a degree in history from the University of North Carolina Wilmington. She received Academically and Intellectually Gifted add-on licensure from Duke University. 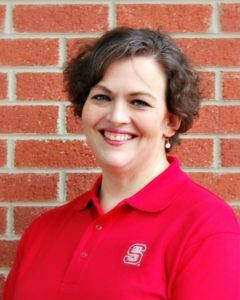 She served as the grade level chair and participated on various school committees including the school improvement team and Durham’s Leadership Learning Network. She taught fifth grade math and science before joining DPLA. During her residency year, she was at Brogden Middle School. Kristin is now serving as Assistant Principal at Percy Julian School in Phoenix, Arizona. Titus earned his Bachelor of Arts in Music Education from Lane College in Jackson, Tennessee. He was a Tennessee Teacher Corps alum, and a former member of the Music Educator’s National Conference. 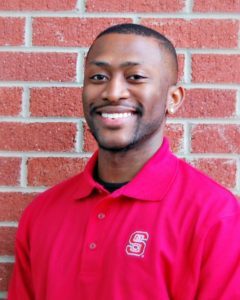 He served as a 3rd-5th grade Interventionist at Hope Valley Elementary in Durham, was the PBIS chair, and was a member of the School Improvement Team (SIT) and Teacher Advisory Committee (TAC). He was a Principal Resident at Lowes Grove Middle School during the fall 2017 semester. Titus has been serving as Assistant Principal at Lakeview School since January 2018. 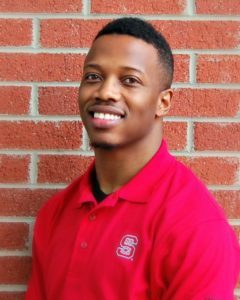 Marcus attended East Carolina University and earned a Bachelor of Science in Family and Community Services. He earned teaching certification in Elementary Education from Elizabeth City State University. He then received a Masters of Education in Curriculum and Instruction from Concordia University in Portland, Oregon. Throughout his experience in education he has served as: teacher assistant, tutor, substitute, and student services coordinator for the GEARUP Program. He taught first and third grade, with one class of only male students. He also served as Vice President for his school’s PTA and currently serves as Co-Chair of the School Improvement Team, and Chair of the Cafeteria Climate and Control Committee. He was a Principal Resident at Carrington Middle School during the Fall 2017 semester. In January 2018 Marcus became an Assistant Principal at Easley Elementary School, where he is continuing to serve during the 2018 to 2019 school year.